Chic Alert: Macys.com Thanksgiving Sale! 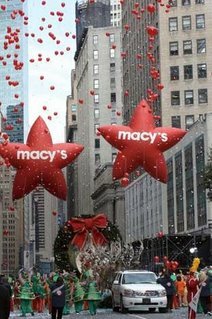 Save 20-50% + values!The best values of the year at macys.com are now here!!! To kick off the holiday shopping season, MACYS.COM is now offering savings of 20-50% on tons of great gifts. Plus from November 21 to November 23, you can save up to an extra 20% off when you use your Macy's card online. Then on Black Friday, treat your yourself to special WEB BUSTERS AVAILABLE ONE DAY ONLY November 24, 2006! Let the savings begin!